What's on in the park? Check here! This film features footage from the Bestwood Colliery site and should be well worth watching. There is a short preview available by clicking here. WE WANT TO KNOW YOUR VIEWS - our Chair, Rob Carlyle, is very keen to gather new ideas, and hopefully some new people to help put them into practice, and to attend our monthly meetings. We have had thoughts about holding our meetings less frequently and maybe at different venues & times. None of these changes are going to happen until after our AGM in June and would be well publicised, but we would love to have you thoughts now so we have time to consider them. So please get in touch if you have any ideas or if you feel able to give us some time / energy / brain power! Contact us here. The Bestwood Colliery heritage site will be opening on two additional days in April. Bank Holiday Monday 22 April, and Sunday 28 April as part of Radio Nottingham - Big Day Out. On both occasions the tours of the Winding Engine House will be available 10am to 12 noon and the café will be open 10am to 1pm. Do come along and find out more about your local history and enjoy a lovely home-made cake. Below are photos of four paintings by Rodney Fogg; three of Bestwood & one of the Welbeck sinking team. These were painted in 1996 when he was living locally. Although he now lives in Radcliffe on Trent he and his wife recently visited the Winding Engine House & Dynamo House and had an interesting conversation regarding mining in the locality and local characters in general. Rodney has been kind enough to donate the paintings to the Friends of Bestwood Country Park and they will look great on the Dynamo House wall once we get them mounted. I know it is April Fool's Day but it was no joke when the visitors to the Dynamo House Café on Saturday found that we had completely run out of cake. Despite having baked over 200 pieces of cake & scones we managed to sell them all by about 12.15pm meaning that later visitors could only be offered packets of biscuits. It seems that we're the victims of our own success. It did mean of course that we had record takings on the day. Any profits will be directed in to our general funds now as our additional funding support of the Andy's Adventure Playground Appeal has now ceased following the news that we have been awarded a WREN grant. You can read the recent press release about the Playground Appeal by downloading the document below. On Friday 15 March Gedling Borough Council launched their “Heritage Brought Alive Project” at Gedling County Park. The event included the launch of a new 80 page book written by volunteers, including our own Keith Stone, and compiled and edited by Dr Stephen Walker, of Friends of Moor Pond Wood. It is the first ever publication to talk about the heritage of the whole of Gedling borough. It contains information on local communities and historical sites such as Newstead Abbey, Papplewick Pumping Station and, of course, our Bestwood Winding Engine. The project was made possible thanks to a £74,900 grant from the Heritage Lottery Fund and the work of volunteers over the last 15 months. A short video accompanies the book and can be viewed here. There was a flurry of snow in the park last night and looking out on the light dusting you might be forgiven for being disappointed. No chance of skiing, sledging, having a snowball fight or building a snow man - or maybe you could... Check out what someone managed to create from the thin layer of snow available. This image turned up on BBC Weather Watchers today - so the impossible was possible. The great news is that we have been formally awarded the grant of £50,000 from WREN - a not-for-profit business that awards grants for community, biodiversity and heritage projects from funds donated by FCC Environment through the Landfill Communities Fund. This means, along with the money from fund-raising, we can now afford to have the new Adventure Playground built. However, before building can start we had to address a Health & Safety issue with a large sweet chestnut tree situated close to the playground area. Every year the tree would produce hundreds of spiky sweet chestnut seed cases, which would fall directly into the playground posing a risk to children playing who may sustain an injury from falling on them. A decision was taken that removal of the tree prior to the building of the new playground would be the best option. Rob Wombwell (GBC ranger) & Dave Southward (GBC warden) undertook the felling work themselves, then invited Bolsover Woodland Enterprise in to process the felled timber. BWE is a social enterprise providing work experience & training in conservation & woodland management for adults with a learning disability. They brought their planking machine on site & planked the timber – they will now use it to make benches & other furniture to sell to support their enterprise. Watch out for further updates over the next few months & the whole project will hopefully be completed by the summer. Meanwhile check out the tree felling photos in the gallery. The unseasonally sunny weather we have experienced this month has brought lots of people out into the park. Dog walkers, families, Nordic walkers, horse riders, bird watchers and those just looking for a nice cup of coffee and a cake have been visiting the park and popping into the Dynamo House Café on Saturdays. We have had record takings for several weeks which is great news for the projects that we support in and around the park, such as winter bird food, benches and picnic tables as all the profits are used to fund these. We have also been supporting the Andy's Adventure Playground Appeal but since receiving the news that we have been awarded the grant from WREN we have put the café profits back into our regular funds. We've been contacted by someone who lost a set of keys whilst walking his dogs in BCP on 2nd February. There was a car key and several other keys. One of the door keys had a light blue cover on the key. He was walking from the Dunvegan Drive Rise Park entrance past Bigwood/Oakwood school and returning back to the Dunvegan entrance. There's a £10 reward for anyone finding the keys - please get in touch if you find them via out Contact form. In the middle of January the weather surprised us with some sub-zero overnight temperatures which were followed by bright sunny days. These were just ideal conditions for keen local photographers to get snapping in Bestwood Country Park. The resulting dramatic images are in our gallery. If you have any recent interesting, unusual or generally beautiful photos taken in the park please email them to us at photos@fbcp.org.uk. On Saturday 26 January the Bestwood Village Park Run will be celebrating their 2 year anniversary. This is likely to mean a higher number of runners than normal so do take care if you are passing the Park Road entrance between 8.30am & 9.45am on Saturday. If you are planning to run the 5km around our beautiful park please try to park sensibly and safely. You will be rewarded for your efforts with biscuits and cakes at the end of the race. Good luck on those hills! 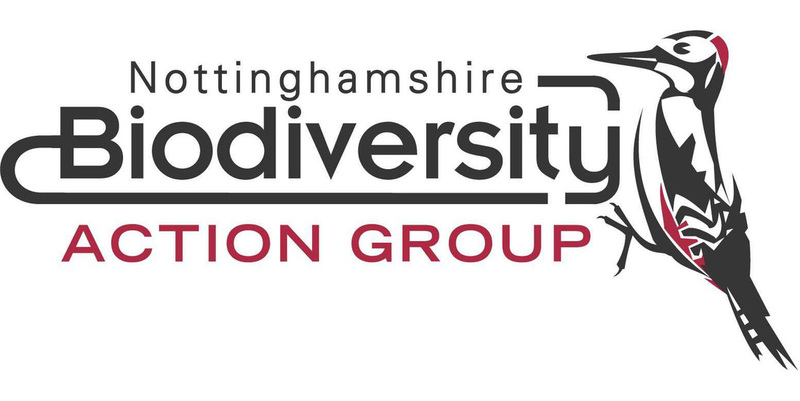 Yesterday the Dynamo House Café supplied the outside catering at the annual gathering of the Nottinghamshire Biodiversity Action Group (NottsBAG). 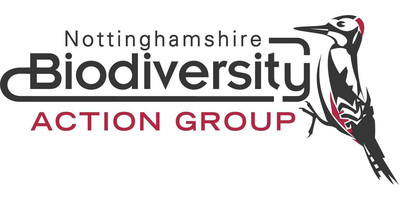 The event, held at Brackenhurst Campus of the Nottingham Trent University, offers a chance for representative of groups associated with environmental & biodiversity improvement to get together and hear talks and exchange information in this field. This year the day also included a field trip around the Southwell area to see improvement schemes on the ground. The Dynamo House Café provided morning and afternoon refreshment with drinks & biscuits and a lunchtime treat of cakes. A big thank you goes out to all our amazing bakers who provided a great selection of home-made cakes & biscuits, even providing vegan options to support those attempting "Veganuary". A few doggy bags were given out at the end of the day and everyone seemed to go home happy. The participants were very generous with their donations and all profits will go towards improving Bestwood Country Park, so it really is a win:win partnership. Sue McDonald, the Community Liaison Officer for Notts County Council, is setting up a new volunteer group to carry out work locally. The work will focus on habitat improvement to increase biodiversity at a site known as The Linby Trail. The first meeting will be on 23 January but from then on the group will run on the first Wednesday of each month; (6th Feb, 6th Mar, 3rd April). If you would like to be involved please contact Sue by 4pm on the Monday before each event. OK, so you made a new year resolution to get fit, or to learn more about your local area, or to meet new people, or to save money, or to improve the wonderful natural environment. All these can be achieved by getting out into your local park. A walk, run or ride around the park is not only good for you, it is free. You can meet new people there by getting involved in a volunteer group doing work in the park like gardening, litter picking, engineering, tour guiding or even baking & serving cakes. Make sure you make the most of this amazing asset on your doorstep - don't miss out on the chance to have a great 2019! The Friends of Bestwood Country Park would like to wish all our members, supporters, friends and visitors a very happy Christmas. Please come and enjoy the park in the coming days as it can be at its most beautiful in its winter coat. The Dynamo House Café will be open every Saturday throughout the winter and there are additional opening days on Boxing Day and New Year's Day. See you there. Last night the Christmas party was held at Emmanuel Church to say a big thank you to all the various volunteer groups that help out in the park. Funding was unavailable from the County Council this year but the FoBCP stepped in to make sure a good evening was had by all. Some photos of the night are in the gallery. We have just been notified that our bid to WREN for £50,000 of funding to restore the adventure playground has been successful. This means that, along with the funds already raised by your efforts and donations, we now have enough money in the pot to make the playground a place to come and have an amazing adventure. It looks like 2019 will be a landmark year for the park with the new Andy's Adventure Playground at its heart.Thank you to all involved in the fund-raising and the bid. After last night's first serious frost of the season the Winding Engine House was looking splendid in the morning sunshine. This image, captured by local photographer Tamsyn Cheetham, illustrates the grandeur of the industrial buildings and shows how they now nestle within their beautiful rural setting. More in the gallery. If you capture pictures of the park on your next visit please send them through to us on an email to photos@fbcp.org.uk. On 27 November the first class of children came to the Winding Engine House to meet Peter the Pit Pony. A class of 3 and 4 year old girls and boys from Hawthorne Primary School came along and took part in an interactive story telling session run by Laura and Jackie to test out the timings and the effectiveness of the materials. From the feedback we have had the children and teachers loved meeting Peter and exploring their local history. We have a few more photos in the gallery. If you would like to meet Peter please get in touch with us, or for a self-guided tour pick up a booklet from the Dynamo House at just £3. We have been trying to track down a mystery couple called Ray & Sue who said they would like to add their names to the mailing list and help out with the Adventure Playground Appeal. However, we sadly took down their email address inaccurately & we can't get a message through to them about the rota. Are you that couple? If so please drop us an email using the contact form. On sale now at the Dynamo House is a great children's story book. 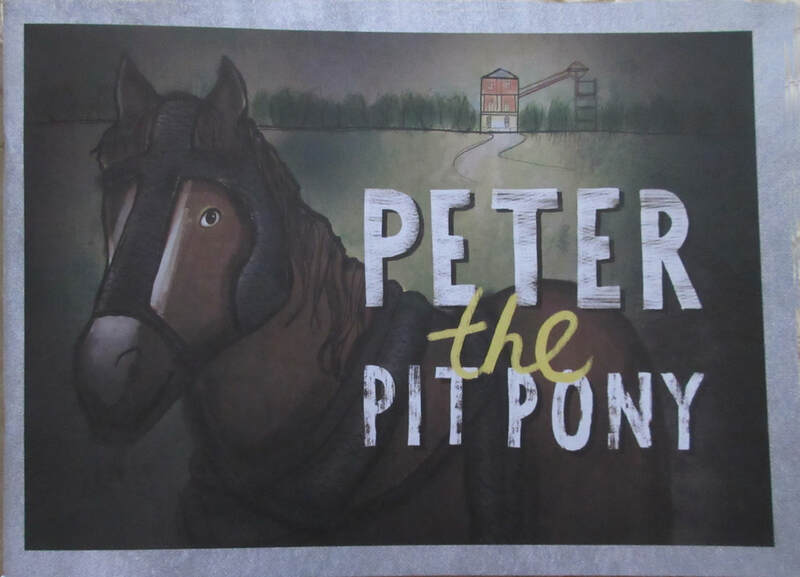 Peter the Pit Pony is a beautifully illustrated storybook and guided trail based on the history of Bestwood Country Park from the time it was a coal mine. You can read how Peter the Pit Pony helps young miner Bob find all his mining equipment, and then go on a trail to spot these mining items yourselves around the park. School groups and Early years groups can book a guided workshop to accompany the book and trail or you can use it as a self-guided resource. Be sure to pick up a copy next time you are at the Dynamo House - just £3 a copy. Read more about the ponies of Bestwood Colliery here. Are you feeling the cold when out and about in the park? Help is at hand. This Saturday we start serving soup at the Dynamo House Café to help thaw you out. From 10am Carol & Ian will be offering home-made vegetarian soup and hand-made bread rolls every first Saturday of the month from now through to the spring. Don't leave it too late to call in though because there is just one soup-kettle full and when it's gone, it's gone. I Came; I Saw; I Made A Note! Next time you venture into the park please keep in mind that we want to know what you saw. If you spot any wildlife, plant or fungi please let us know. You can either write a note on the white board which will usually be outside Alexandra Lodge during office hours, or you can drop us a line using the contact form here. Your sightings help us to draw up a picture of what is in the park at any particular time of year. This enables us to make better decisions on how to protect and improve the park to sustain its unique flora & fauna. There is another chance to let your hair down and have some fun whilst raising money for the playground appeal. We are helping to host a Halloween event at the Victory club in Arnold on Friday 26 October along with members of the Maycock family. All the details are on the poster with entry just £2. Fancy dress is optional but we know you won't let us down with your imaginative costume ideas. We hope to see you there although whether we recognise you is another matter! It seems you are never too young to volunteer to help out. 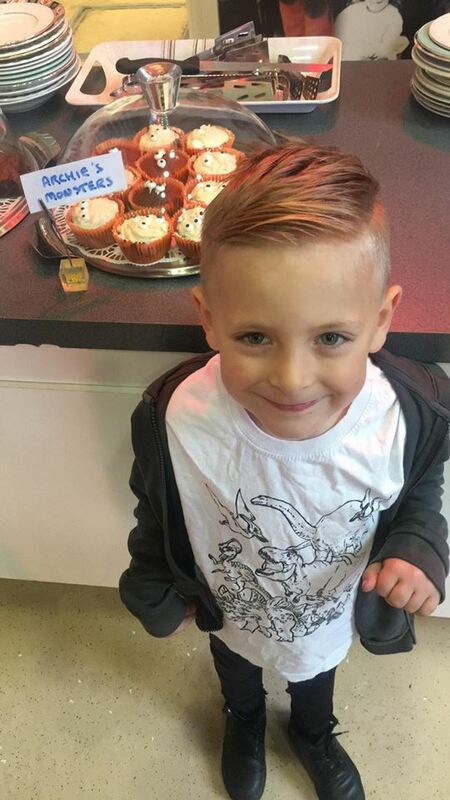 Last weekend we had our youngest baker so far donate some wonderful cakes to be sold at the Dynamo House Café. Archie, who is just 4 years old, brought along some "monster" cakes he had made with the help of his gran, Donna. They were snapped up along with many others by our eager customers. If you think you could bake for the café please drop us a line and add your name to the baking rota. You can bake any cakes or scones you chose and are usually called upon about once a month. The more bakers we have the less often you bake. We pay for all your ingredients and can collect from you if necessary. Gluten free and vegan bakes are especially welcome to keep our selection on offer as varied as possible. Here's one Alan spotted in the park last year. This Saturday 6 October is UK Fungus Day! Led by the British Mycological Society (the people who love fungi the most), this is a national day dedicated to celebrating and raising the profile of fungi. At this time of year the park is full of interesting fungi for you to spot. If you come across anything particularly stunning please take a photo and send it to us using photos@fbcp.org.uk. On Sunday 30 September the Dynamo House was the location for the gathering of the clans in the world of greyhounds. Over 40 dogs and their owners from the Greyhound Trust Nottingham came along to enjoy a walk in the park and the reward of a drink and a cake at the café. They walked up to the Adventure Playground to better understand the issues we face in refurbishing it. The dogs were exceptionally well behaved and their owners were very generous with their donations to the appeal which totalled £81.86 on the day. There are a few photos in the gallery. Have you been walking in Bestwood Country Park and got home to find that you were missing some keys? If so, we might be able to make your day as some keys have been found and handed in. If you feel these might be yours please drop us a line using the contact form and we will try to reunite you with them. Not to be outdone by ITV News coverage it seems that BBC Radio Nottingham are keen to get in on the latest news about Bestwood Country Park. Today on the Alan Clifford show Sue Maycock talked at length about the project to raise funds to refurbish the adventure playground in her son's name. If you missed it and would like to hear the interview please click here. Our efforts, along with the Maycock family, to raise funds to refurbish the adventure playground have hit the TV news. On Wednesday, 19 September, ITV Central News aired interviews with the Maycock family and Rob Carlyle (Chair of FoBCP) regarding the appeal. The piece included archive footage of the park including the opening in 2002 and a section showing Andy himself playing in the park. If you missed it and would like to watch the article please click here. Fund-raising for the Andy's Adventure Playground Appeal has been gaining momentum in recent weeks. There have been several events held including a coffee morning at the Church on Rise Park and a Poetry & Music event at the Dynamo House which have boosted the fund. These, along with donations received from Hawthorne Primary and Nursery School, the Hucknall Local History Group and the Industrial Archaeology Group have taken the appeal total to just over £11,000. The Dynamo House Community Café continues to donate its net takings each Saturday to the fund too. The appeal was further increased by £1,000 when a cheque was received by Sue Maycock from Barclays Bank who pledged matched funding to the appeal. (See photo below). Thanks go to Claire Mason for suggesting we use the Barclays fund matching scheme, and to Barclays for coming up with the money! In addition the bid for an extra £50,000 from WREN has now been submitted so fingers crossed for some good news from them soon. The Adventure Playground Appeal received some welcome publicity yesterday when an article appeared in the Nottingham Post. We are now looking out for an item on the ITV local news about the appeal which should appear sometime next week, so keep your eyes peeled. Watch out for a little bonus event on at the Dynamo House on Saturday 25 August. During Café opening hours there will be a selection of sale tables to rummage through. Offering anything from house plants to greetings cards, book-folded hedgehogs to fabric craft items there is bound to be something to interest you. Do come along and bag yourself a bargain. All profits from the sale tables will be donated to Andy's Adventure Playground Appeal. On what has been promised by the weather forecasters to be the last of the recent scorching hot days, the park has succumbed to a large grass fire. This afternoon four fire crews had to attend a grass fire on the pit top field and were fortunately able to get it under control relatively quickly. Plumes of smoke could be seen for miles around and large areas of the field have been left blackened. This is a stark reminder of the dangers grass fires pose in these dry conditions. If you are out in the park please take extra care not to accidentally contribute to these risks. Do not use BBQs or open fires, dispose of cigarettes responsibly and report any fires you see quickly to the fire brigade. There are some photos of the incident and the heroic efforts of the fire fighters in the gallery. Not only have you got weeks of wonderful summer weather to look forward to in the school holidays but some extra events at the Winding Engine House & Dynamo House Café. On Saturday 25 August there will be a table sale of crafts, creatives and crops during the usual café opening hours. Come along and bag a bargain. On Bank Holiday Monday 27 August the WEH & DH Café will both be open serving up their usual free tours and reasonably-priced refreshments starting at 10am as usual. All profits from the café & the sale tables will be donated to Andy's Adventure Playground Appeal. Dig deep and help support a great local project. This time is was the local BBC East Midlands weather team that used a wonderful image of Bestwood Country Park to illustrate the current heat wave weather we have been experiencing. Well done to Steve Plew for taking such a great photo of our park. The prolonged dry weather has been causing problems in the park. The tinder-dry grassland is prone to grass fires and the fire brigade have been called out to several small incidents in the park. We would ask that visitors take extra care when in the park. Please avoid using barbecues, fire pits or other open flames and take extra care disposing of cigarettes. Even broken glass can focus sunlight and start fires so if you see any, and are able to collect it safely, please take it to a bin. An image of our beautiful park was featured on the BBC1 National Weather Forecast at 6.15pm today. The photo was submitted by Steve P of Nottinghamshire and we would like to thank him for sending in the picture and hope he enjoyed his visit to the Mill Lakes in the sunshine today. During office hours, any reports on repairs needed or incidents happening in the Park should be reported to the Park Ranger, Rob Wombwell either by email, text or phone - robert.wombwell@gedling.gov.uk. 0115 975 3782. 07989 682 118. An alternative contact is Warden Dave who's mobile is 07815 535 213. 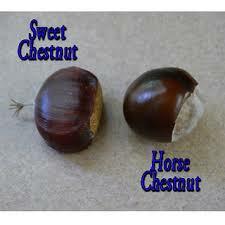 Both are based at the Classroom at Alexandra Lodge. 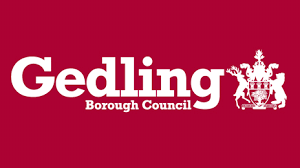 Out of office hours the 24-hr Gedling Borough Council emergency number is 0800 096 0306 (option 5 for parks). This should only be used for emergencies such as health & safety issues in the park. We want to keep you all updated on the progress with the fund-raising for Andy's Adventure Playground. At the last count we had £6,774 in the fund. This is encouraging but we still have a long way to go. Further events are planned including an evening of musical entertainment at The Arnold Victory Club on Friday 6 July. For the moment all profits from the Dynamo House Café are being donated - so if all else fails just eat more cake! The park resounded to the strains of "You're The One That I Want" last night as the second of the film shows came to an end at midnight. We were very lucky with the weather on both Friday & Saturday and the films played to full houses both nights. Pizzas were eaten, beers & wine were drunk, blankets were snuggled under and the crowd seemed to enjoy themselves. It is a village event we would be happy to see repeated. Thanks to Sunset Cinema Club, B.R.A.G, the Park Rangers, the stewards and the FOBCP members involved in making it happen. We hope the wildlife will forgive the disturbance (caused mostly by my singing!). This coming weekend sees a first for Bestwood Country Park when the cinema comes to town. Sunset Cinema Club will be showing films on Friday and Saturday evenings in the Winding Engine compound. Admittance is my ticket only and they are selling out fast. Friday night is "The Greatest Showman" and Saturday is "Grease". The Dynamo House Café will be open as usual on Saturday 10am to 1pm with the bonus of a sale rail to grab a bargain from. One of our members has made some great greeting cards for us to sell at the Dynamo House Café to help raise funds for the adventure playground refurbishment. Maureen visited the park for many years, and even now she's moved to Chaddesden she still likes to keep an eye on what's going on! When she heard about the appeal for funds she decided to get creative and make some cards for us. She hasn't set a price, she just wants any money taken for the cards to go to the playground appeal. They'll be on sale in the café again from Saturday 19th May. When you're at the café you can sign the petition supporting the adventure playground refurbishment project. It was agreed at the last committee meeting that we would continue the donation of Dynamo House Café profits to Andy's Adventure Playground appeal for the month of May. It is such a very worthwhile cause that we are happy to support it for another month. This of course means that anyone buying a drink or a cake this month can feel a little glow inside that they are helping the appeal. James Drewry has shared with the village face book group some photos taken from his drone. He has agreed that we can share his lovely shot of the Mill Lakes on our web page. It is amazing to think that this wonderful environment is so easily accessible and just on our doorstep. During the month of April all profits from the Dynamo House Café have been donated to Andy's Adventure Playground Appeal. Money from the 4 Saturdays and the Big Day Out Sunday have made a wonderful contribution to the fund. So far the appeal has raised over £3,500 in total but we have a long way to go if the refurbishment project is to go ahead. We will continue to take donations via the buckets on the counter in the café and you can plot progress on the chart displayed in the Dynamo House. Very many thanks to our member Scott for setting up and administering our new FoBCP facebook page, and helping us to enter the 21st century at last! Our page is still in its very early days, so hope you'll use it, and like it! Check it out here. On Sunday 22 April the Winding Engine House and Dynamo House Café will be opening up between 10am and 1pm as part of the BBC Radio Nottingham "Big Day Out". This special opening on a Sunday will hopefully bring in some new visitors to our great park and Mining Heritage site. Entry & the guided tours will be free to all and the the Café will be offering home-made refreshments at the usual great value prices. Come & see what we have on offer. Although the majority of people walk around the park, or maybe jog if they are taking part in the park run on a Saturday morning, a few of our visitors have a different approach. Those like Becca Jones get a novel view from horseback as they travel around the bridal ways in the park. 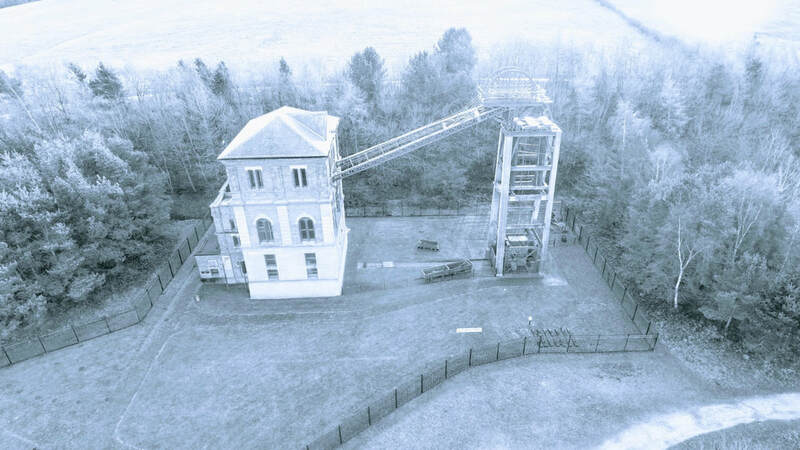 This is a shot she took of the Winding Engine House from her elevated vantage point. There are a few more in the gallery. Other visitors bring their bicycles and some their sledges when the weather provides the snowy slopes. On Sunday 1 April we are hosting a special viewing of the film Messenger at the Bonington Theatre. Then on Bank Holiday Monday 2 April we are opening the Winding Engine House so you can take your visiting friends and relatives around your local heritage site. Free tours will be running between 10am and 12 noon - no need to book - just turn up. The Dynamo House Café will be serving refreshments 10am to 1pm to ensure you are fully fuelled for your walks around the park. Come along and get involved. Our public parks and open spaces are much loved and used with an estimated 2.6 billion visitors each year but they are also suffering from severe cuts to parks services made by local authorities as they seek to balance their books. To make this worse the Heritage Lottery Fund (HLF) now want to abandon their hugely successful Parks for People programme that invested millions of peoples lottery money into improving parks and local facilities. The Heritage Lottery Fund are currently consulting on this change in funding. You can help us to convince them to rethink and keep this precious funding so parks like Bestwood Country Park can be protected and continue to be enjoyed by everyone. Gedling Borough Council's 'Heritage Brought Alive' is a project to interpret the heritage across the borough, funded by the Heritage Lottery Fund. It centres on Gedling Country Park but then will filter information out to all the other places of interest in the area, including Bestwood Country Park. Our Friends group would like to ensure that Bestwood gets its fair share of coverage! So, if you have stories photographs, records artefacts relating to the heritage of this area please tell us so it can be captured and recorded and can contribute to this project. Contact Keith by email and he can arrange to record your story. Well we have all survived the Beast from the East and the snow and frost it brought to the park. Now we have the thaw! This gives us the prospect of many of the signs of spring all arriving together in the park. Look out for catkins, frog & toad spawn, daffodils, birds nesting and the trees bursting into leaf. If you capture any of these on camera please send the photos through to us for our gallery by email. ... you need to know more about garden birds. You can do this by attending a talk on Wednesday 4 April, 7.30pm at the Nottingham Mechanics (NG1 4EZ). Renowned author and conservationist Peter Holden MBE will be giving a talk for the Notts RSPB group entitled ‘Birds: their Hidden World’, a presentation that takes a close look at the intimate lives of many of the birds that share our gardens and countryside. Peter says: “The more I have studied birds the more I have come to realise most bird books miss out the most interesting things”. Everyone is welcome to this open meeting but there will be an entry fee of £3. Plans are in place to start the refurbishments required to get the adventure playground back into action. It was closed at the end of 2017 due to health & safety concerns. Initially the work will involve removal of some features which are beyond repair and general upgrading of the playground surface of bark chippings. It is hoped that further improvements will take place once funding can be secured. In the meantime we thought you might enjoy this evocative image of the park taken in the area around the adventure playground. To see it even larger just click on the image. We were happy to receive a set of photographs showing the Winding Engine House as we have not seen it before. John Blackmore shared with us a set of photos taken using his drone. You can see more images of the WEH as the birds see it by clicking here. The February Mini-Miners craft activity will have a Valentine's theme. You can prepare for St Valentine's Day (14 Feb) by decorating a large pink heart to show your love for someone or something. You can adorn your heart with more hearts & flowers and the name of a loved one or you can just decorate it with things you like, such as birds & butterflies, the seaside or sparkly jungle animals - the choice is yours. Come along on Saturday 3 February between 10 and 12 to take part. All craft activities are free. You have an opportunity to find out more about one of the more elusive mammals we share our space with - bats. One of our neighbouring green space groups, just up the road in Mansfield Woodhouse, are hosting a free talk by Michael Walker of the Nottinghamshire Bat Group on 7 March. Check out the poster or their website for more information and to book your free place. One of our fellow Friends groups is holding a fund-raising event which you might like to join in with. The Friends of Moor Pond Woods are holding a line dance just up the road in Papplewick. You don't need to be an expert as instructions & demonstrations will be given on the night and all the moves are called out as the dance progresses. It is a great way to make new friends, have fun and do a little exercise - you know you promised you would do more of that in the new year! Click on the poster to read all the details on how you book your ticket. Are You A Fire Starter? If your New Year's resolution was to put something back into your community by volunteering here is a great chance to put that promise into action on 24 January. You can have fun at the same time too. This task day involves cutting & burning loads of branches and brush cleared from a site just up the road from us near Olllerton. You can even bring along something to cook in the ashes for your lunch - a foil wrapped potato perhaps! To get involved just contact Sue McDonald before 4pm on Monday 22 January to register. Sadly we have to start the new year with some bad news about the adventure playground in the country park. The site has recently fallen into disrepair to the point where, due to health & safety concerns, it has had to be closed to the public. We apologise to anyone hoping to use this facility and finding it locked. We are working with the local council to get the necessary repairs done so that it can be reopened. This is just one of the topics up for discussion at the next FoBCP meeting. If you would like to add anything to those discussions either drop us a line using the contact form or come along to the meeting. 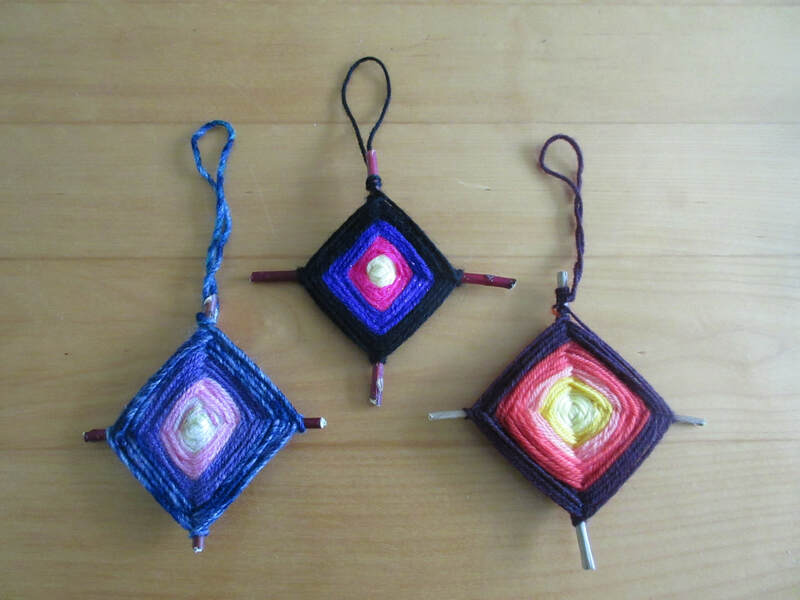 The craft activity for our younger visitors to the Dynamo House Café on 6 January 2018 will be in celebration of the New Year. They will be making felt bunting to welcome in 2018. All craft activities are free, so do come along and join in. However you celebrate the arrival of 2018 please make it your resolution to get out and about into the great outdoors more often. It is free to visit our park and is good for your body and mind. Take time to look at what is around you and enjoy every moment of 2018. Happy New Year from FoBCP. Members of FoBCP have been helping one of our Greenwood partners to set up their own website over the Christmas break. The Trustees of Mansfield Woodhouse Millennium Green have been getting to grips with their new skills in order to advertise the great things they get up to just a few miles up the road from us at Bestwood Country Park. Check out how they are getting along building their website by clicking here. Our Christmas present to you all is going to be a selection of recipes from the cooks at the Dynamo House Café. We will publish these over the next few weeks so you can recreate some of the café favourites at home. We are starting off with Nell's chewy oat cake which is the first one added to the recipe book here. If you are out and about in the park and come across something you think needs reporting (alarms going off, dangerous obstructions on the paths etc) but it is outside normal hours to report it to Gedling Borough Council or the rangers please contact the emergency number 0800 096 0306. Please let us know via our contact page how you got on if you do report something as we are keeping a beady eye on the level of service we are receiving in our park now we are under new management. In the recent snowy weather Rachel Leonardi didn't stay indoors cosy by the fire. She got herself wrapped up warm and took her camera out & about to capture some amazing images of the park in its winter cloak of snow. Check out some of her photos in our gallery or on her facebook page here. The Friends of Bestwood Country Park will be having a stall at the Bestwood Village Christmas Fayre on Friday 8 December. The event is part of the turning on of the Christmas tree lights and the stalls are in the Community Centre on Moor Road, Bestwood Village. The event kicks off at 6pm as the doors open for refreshments and to browse the stalls. The School choir will perform at around 6.30pm and the Bestwood Black Diamonds Band perform at 7pm. The lights will be switched on at 7.30pm and then there will be a bar in the Community Centre for the rest of the evening. Come along and meet us face to face and find out more about the park and contribute to our funds by buying one of our calendars or craft items from the stall. On Saturday 2 December we will be getting into the Christmas mood with our "mini-Miners" by helping them to make sparkly woollen Christmas decorations. These can be individually hung on a tree or displayed in a window or made into a garland hung on the wall. All Mini-Miners activities are free to take part in and you take your creations home with you at the end of the session. All the materials are funded from café profits so feel free to order that extra slice of cake as it is all going to a good cause. Tomorrow Saturday 18 November, sees the first batch of home-made soup come up for sale at the Dynamo House Café. We will be serving soup on the 3rd Saturday of the month over the winter period. All the soups were serve are vegetarian and the flavours vary with the changing availability of veggies. Come along after 10.30am and bag yourself a mug of hot soup and a home-baked bread roll - each for just 50p. Once it's gone it's gone so don't miss out - come early! We like to know what plants & animals have been found in our park. This information can help us to protect the wildlife & habitats we already have as well as bid for funding to improve the park and hopefully attract even more interesting species into the park. 1 - The home-made soup & bread rolls will be on sale every 3rd Saturday of the month at the Dynamo House Café - just 50p for a mug of soup & 50p for a roll & butter. It sells out fast so get down there as soon after 11am as you can. 2 - The FoBCP 2018 Calendar is on sale at the Dynamo House Café every Saturday until we sell out. We are onto the last box full so make sure you don't miss out. 3 - The autumn leaves are everywhere in the park making your walk a kaleidoscope of colour - catch it before it's all over. One of our calendar photographers has been out and about in the park with his lens. Here he has snapped the swan family taking a turn around the Mill Lakes. If you are in the park and manage to capture a great image please share it with us using the email photos@fbcp.org.uk. Thanks to an array of amazing images sent in by our park photographers we have been able to create the Friends of Bestwood Country Park 2018 Calendar. It is packed with pictures that remind you why the park is such a great place to be any time of the year. They will be on sale at the Dynamo House Café from Saturday for just £7.50. The FoBCP stall at the Major Oak Woodland Festival was a great success this year. We attracted visitors to the stall to find out more about our amazing park and also sold them home-baked cakes, book hedgehogs and the first sample edition of our 2018 calendar. It was a great fund-raising event which hopefully also inspired more people to come along and discover the hidden gem that is Bestwood Country Park. The Friends of Bestwood Country Park will be once again standing a stall at the Major Oak Woodland Festival in Sherwood Forest on 16th & 17th September. This is a great day out for all the family, focussing on all things connected to the forest. Look out for Margret & the team on their stall in Sherwood Forest National Nature Reserve, Edwinstowe, Nottinghamshire. They will be selling cakes like those sold in the Dynamo House Café, and at the usual low prices, and also have a few book hedgehogs for sale to good homes. Just like the Countryfile Calendar Competition on TV, judging has taken place in the FoBCP Calendar Competition, although on a slightly smaller scale. Our 24 winners have been chosen; one large image and one small image for each month of 2018. The creators of the winning images will be notified very soon. In the meantime some of the runners up can be seen in our gallery. We had so many images submitted that were just too good not to be shown, even if they didn't make the final cut, so enjoy a taster of what is to come by clicking here. The full list of submissions are available in the gallery. The younger visitors to the Dynamo House Café on Saturday 2 September will be able to make their very own hedgehog. These hogs won't need to hibernate in the winter as they are made from old books. It is a great way to recycle a book destined for landfill and a fun way to make a new friend. All mini-miner activities are free t take part in so come along and enjoy a prickly project. Being the first Saturday of the month the Friends of Bestwood Country Park put on an activity for the younger visitors to the Dynamo House Café. This month it involved making a flower garden picture using collage and drawing skills. Six young artists tried their hand at this creative craft and the results were stunning. Take a look at their pictures in our gallery. It is the start of the summer break for schools & colleges and you will probably be looking for something to do to fill the long summer days. How about a walk in the park? Even if the weather isn't up to much a walk can improve your mood and clear your head. You might be inspired by the views in the park to be creative when you get back home with a picture, story or decorative craft. Just get out and enjoy the great outdoors - you know it's good for you. Love Parks Week starts today and runs through to 23 July and we are asking you to get involved. It's easy to take part. Any time from 14 - 23 July simply visit your local park (hopefully Bestwood Country Park), take a photo and share it and the reason why you love your park on social media using the hashtag #LoveParks. If you have ever been along to the Robin Hood Festival in north Nottinghamshire you will know it is a great event packed with entertainments and activities for all the family & 2017 will be no exception. However, the event doesn't run itself. If you would like get involved in making this event a success you can become a "Hoodie Helper". Check out the details on the poster and please note the short deadline for singing up. You will get a lot out of the event as a helper - the stock of chocolate treats & free parking pass are ample reward for helping out. If you are reasonably fit and active, enjoy engaging with people and would like to be a part of this really fun event then get in touch with Sue and help make the festival something special. Yesterday the site of Bestwood Colliery was bustling with visitors wanting to mark the 50 years since its closure. This event, the brainchild of Keith Stone, was a great success, due in no small part to the growing interest in local history. People travelled from around the county to see the displays about the working days of Bestwood Colliery, take a tour around the restored Winding Engine House, hear the Bestwood Male Voice Choir sing and hear a talk by local mining heritage expert Dr David Amos. The usual offerings of drinks and cakes were available in the Dynamo House along with craft activities for younger visitors as it was Mini-Miners Saturday. There are some photos of the day in the gallery. Red-necked Footman is a species that prefers deciduous broad-leaf woodland habitats and is distributed locally throughout southern England but has recently spread into the Midlands and East Anglia. Scallop Shell is a species that also prefers woodland, particularly damp woodland, and is found locally throughout the country, but is scarce in the north-east and Scotland. Peach Blossom is common in the UK in light, open woodland and scrub, often where bramble is abundant. 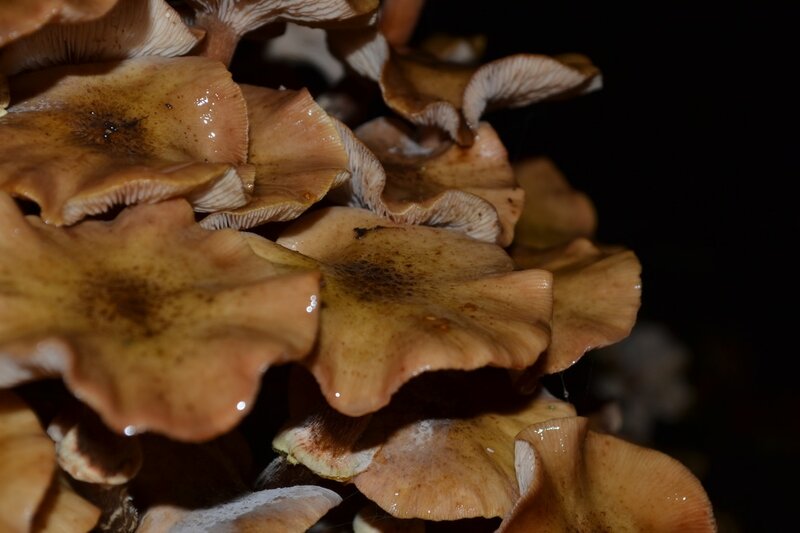 Scorched Wing, similar to the species already mentioned, prefers broadleaved woodland and scrub, especially areas with oak, it is locally distributed throughout most of England and Wales. assemblage of Bestwood Country Park to be studied and monitored. This could potentially influence conservation efforts, tailoring it towards those species which frequent the park. Photos and the full list of what we found are below. Next Sunday (1st July) there will be an event held at Bestwood Colliery to mark the 50th Anniversary since the colliery closed its doors. After many years of producing coal, at times in record amounts, the colliery closed. It was the heart of so many things in the village, the social club, the sports teams, the Christmas entertainment for the kids and the summer trips to the seaside. Despite the pit closure the village has remained a great community and wants to mark this important milestone in a positive way. Read all the details of the event on the poster and we hope to see you coming along to enjoy the fun. Do you want to help create open spaces that are pollinator friendly landscapes? If so, this course is for you. Held in Toton on 25 July this is a day that could help you understand the importance of the pollinators and then let you explore ways to encourage them in your local green area. This free workshop is aimed at anyone involved in managing a local green-space or community space and will involve a classroom session followed by a site visit in the afternoon. Places are limited so please contact Notts Wildlife Trust soon and book your place. The last date to submit entries for the FoBCP Calendar photo competition is midnight on 1 July. So you just have a few more days to pop out and snap a winner, or sort through your stack of images and email your favourite to us. Full details of the competition are here. Just a quick note to remind you that you will have to wait a little longer this year for the Sunday opening to start. This year we are running Sunday opening in July, August & September and are swapping to open in the morning 10am to 12 noon. Please spread the word about the changes and let us know if you like the new arrangements or prefer the old routine. We will review the options at the end of the year. If you have ever been on one of the Hucknall Heritage bus tours you will know they are a great afternoon out. If you want to know what goes into the running of this type of activity you should come along to this training course. It is run by Hucknall Tourism & Regeneration Group in partnership with Notts CC. It is just £5 per person, and lunch and refreshments are included. The 2017 Sunday opening hours have been announced. This year we will be opening on summer Sundays in the morning, from 10am to 12 noon, in July, August & September. This is a trial so we would be happy to receive your feedback on the change from afternoon opening. Meanwhile the Saturday morning opening, from 10am - 1pm, will continue throughout the year. 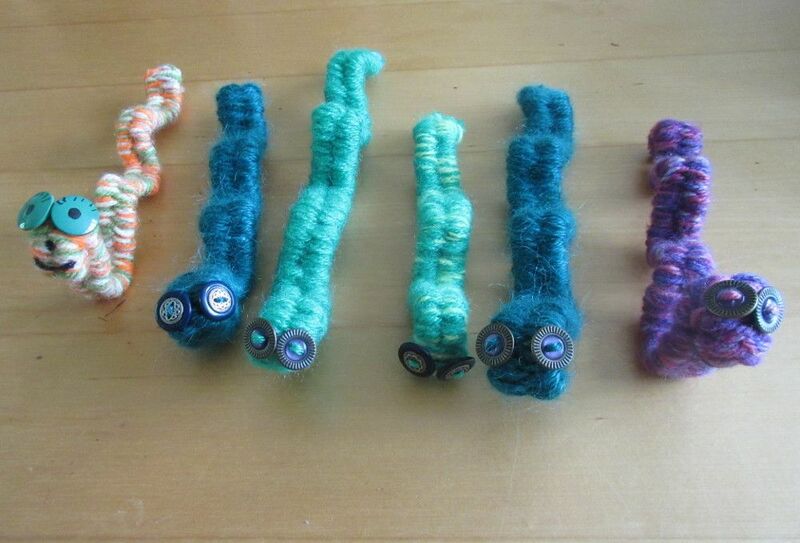 Tomorrow will be Mini-Miners activity day and we will be making woollen caterpillars - see below. 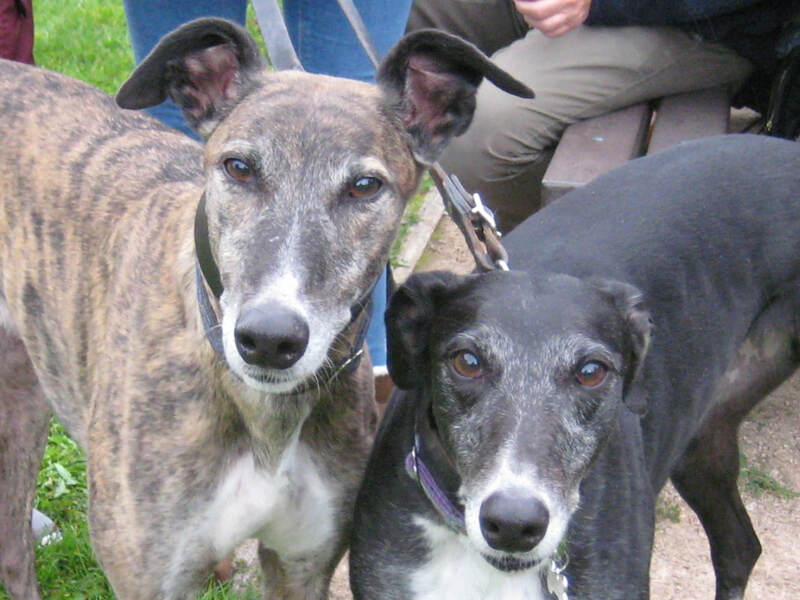 Yesterday 40 members of the Retired Greyhound Trust brought their best friends for a walk around Bestwood Country Park. To help them enjoy their visit the Dynamo House Café opened up to serve them drinks & cakes and to give their dogs drinks and doggy biscuits. A good time was head by all involved and there are a couple of photos in our gallery. We have another bank holiday on the horizon and to make your visit to the park even more fun we are opening the Winding Engine House for tours and the Dynamo House Café for refreshments on BH Monday 29th. This will be swiftly followed the next weekend by another great Mini-Miners' Saturday activity with our younger visitors making woollen caterpillars. All materials & tuition is free. The park is always open and ready to help you enjoy a long Bank Holiday weekend. To add to your enjoyment the Dynamo House Café will be open on both Saturday and Monday 10am to 1pm. Come along and experience the park at its freshest in its best spring greenery. You can also discover Bestwood Colliery's mining heritage with a free tour of the Winding Engine House between 10am and noon on both days. Have a great weekend. A date for your diary - 1st July 2017. This year marks 50 years since Bestwood Colliery closed and to mark the occasion there will be a special event held on Saturday 1st July at Bestwood Country Park, Bestwood Village. It is hoped that this event will be of interest to a broad section of the community with or without mining connections. You can download more information about the day by clicking on the link below. The April mini-miners' craft activity will involve making sprigs of cherry blossom. This way you can enjoy the beauty of spring blossom without cutting any off the trees. All activities are free and are open to all ages. Mini-miners takes place every first Saturday of the month at the Dynamo House Café during the opening hours of 10am to 1pm. Come along and join in the fun. Today 20th March is the International Day of Happiness. What is the International Day of Happiness? It’s a day to be happy, of course! Since 2013, the United Nations has celebrated the International Day of Happiness as a way to recognise the importance of happiness in the lives of people around the world. Happiness is known to improve health & well-being so why not do something to make you & those around you happier: Maybe wrap up warm & go out and splash in a few puddles around the Mill Lakes, take a walk and enjoy the spring flowers in the Park or phone a friend and arrange to meet up for a coffee at the Dynamo House Café on Saturday. Whatever you do today we hope it makes you & others smile. Our neighbouring "Friends" group over at Moor Pond Woods near Papplewick are holding a weekend of celebrations on 17 - 19 March. This is to mark the successful end of their two-year Heritage Lottery funded programme of works. The events include a Jive Night, a Local History Day and the launch of a new walking trail. The new walking trail links local public houses: the Horse and Groom (Linby) , Griffins Head (Papplewick) and Station Hotel (Hucknall) with Moor Pond Woods. A new leaflet includes information about points of interest and will be available on the day. The East Midlands Coalmining Heritage Forum meeting is being held at Bestwood Winding Engine House & Dynamo House on 22 April. Various coalmining heritage organisations and individuals are being invited to come along and take part. This is an invitation only event but anyone interested in coming along can contact David Amos to discuss their interest in the event. Call him on (01773) 760030 or mobile 07914 373 745 or email on david.amos99@ntlworld.com. The craft activity for children on the first Saturday of March at the Dynamo House Café will be making cork-backed drinks coasters. All Mini-miners' activities are free and are carried out on a first come first served basis. Children will be able to decorate the coasters with designs of their own choice and can either take them home or leave them at the café to use again on their next visit. We are looking for anyone who worked at Bestwood Colliery when it closed back in 1967. We would like to speak to them or their family members as part of a heritage project marking the 50th anniversary of the closure of the pit. We hope to stage an event on 1 July this year celebrating the achievements of the colliery and recording the memories of those who were connected to it. If you worked there, or had family who did, please get in touch with us via our contact page. Saturday 4th February will see the Dynamo House Café full of blooming activity. The Mini-Miners will be making paper flowers this month to pass on to a loved one for Valentine's Day or to give to their Mum on Mothers' Day. All Mini-Miners' activities are free and happen every 1st Saturday of the month. There will also be home-made vegetable soup & rolls on sale from 11am. 50p a mug & 50p for a roll & butter. Watch out early on for the Park Runners who will be setting out at 9am on their 5km run. See you there! 2017 is the tenth year of the existence of our Friends group, and we’d like to celebrate it by collecting photos of the park as it is now, to put them into a Bestwood Country Park calendar for 2018, which we’ll have printed. We’d also like to collect photos of the colliery as it was before it closed, contrasting the two sets of images. If you can get involved with this in any way please check the details below and help where you can, or pass it on to someone else who might! We would like to contact anyone - of any age - who is enthusiastic about our park wildlife. There’s no need to be an expert, we need enthusiasts! The plan is to get in contact with a group of people who’d be willing to help in some way in building up a picture of wildlife in the park over time. Once we have a few people who are all interested, we hope to meet up to decide the best way forward. Whether your interest is in flowers, animals, birds, trees, insects, reptiles, frogs, fungi... please register with us and join the adventure. Send us your details using the contact form. The phenomenon of park runs has swept the country and we are poised to join in. The Bestwood Country Park, 5km Park Run will start on Saturday 28 January. It will continue on each Saturday after that and all runs will begin at 9am. It is free to enter but you must register first so you have a bar code to bring along to show at the start line. We look forward to seeing all these active people enjoying the park at the weekend. The rota for the Conservation Task Day volunteers has been published. They meet at Alexandra Lodge every Thursday (except the days excluded on the poster) and carry out vital repair and improvement work in the park. All tools and training is provided - you just bring your enthusiasm and a packed lunch. It is a great way to exercise whilst doing something worthwhile for the community and it is also a good way to make new friends. If you are interested in getting involved contact Sue. "Naked" Walk or Park Run? If your New Year's resolution is to be more active why not join us in the park for a walk or even a run. 5KM PARK RUNS are planned to start in our park from 28 January, (9am start) and every Saturday after that. (See www.parkrun.org.uk for general information and more details closer to the date.) It is free to join in but you need to register and get a bar code to print out and bring along on the day. Of course you can reward yourself afterwards with a warm drink and a piece of cake at the Dynamo House Café which, as always, will be open 10am to 1pm. The Winding Engine House and the Dynamo House Café have been working overtime throughout the Christmas period. Since we promise to be open EVERY Saturday that meant opening on Christmas Eve. Around 100 people were glad we did as they took the opportunity to drop by during their visit to the park. We also try to open on Bank Holidays and we managed to be open on Boxing Day BH although sadly not today. Yesterday we had 122 visitors to the café who almost ate the place out of cake! Look out for more extra chances to visit us in 2017 starting with Saturday 31 December and Monday 2 January. Have you seen the new structure at the side of the Dynamo House Café? Want to know what it is? Well, we hope that it is the start of something amazing. It is the base for a shipping container we are going to have delivered to the site. This container will act as a store and is the first phase in what we hope will be a wonderful upgrade at the site. Watch this space for more information about changes at DH Café & WEH. One of our FoBCP members has been out enjoying the autumn show in the park. Brian managed to capture these lovely views around the park on his stroll which perfectly illustrate the variety of landscapes on offer. From the wild and random to the manicured and man-made the park has it all. In these coming days of early autumn get out into the park and enjoy the free show. Click on the image shown here to expand it and enjoy the views. The forecast is set fare for the weekend. Saturday promises to be cold, dry and bright - perfect for a walk in the park to take in the autumn colours. Your well deserved reward will be the opportunity to have a mug of hot home-made soup at the Dynamo House Café afterwards to help you thaw out. At just 50p for the soup and 50p for the home-made roll & butter it won't break the bank either. There might even be 50p left over for a piece of cake too! See you there. News from October 2016 - November 2015 is stored on our News Archive page here. News from November 2015 and before is stored on our News Archive page here. If you wish to donate to this wonderful local project please click here. 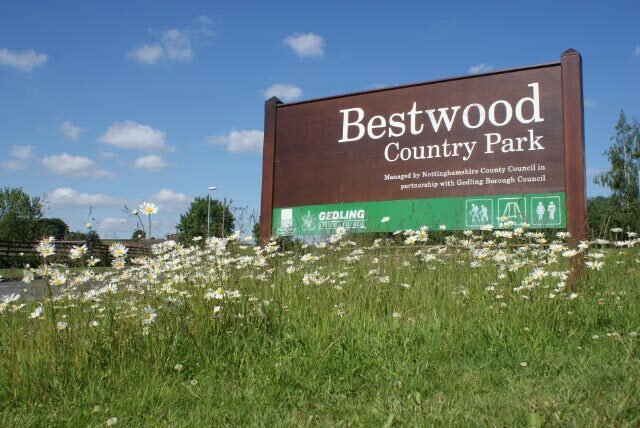 The Friends of Bestwood Country Park was formed in late 2007 and focuses its activities a few miles north of Nottingham in Bestwood Country Park. The group’s aim overall is to promote the interests of our big beautiful park, its habitats and flora and fauna as well as its many human visitors and its historic buildings, and to serve as an active means of communication and co-operation between all users. The group meets most months on the 3rd Thursday of the month at the Bestwood Lodge Hotel. You can check out what goes on at the meetings page. We are always looking for new members to join us and everyone is welcome to come along to the meetings. If you think you would be interested in coming along please use the contact us form to let us have your details. There are several strands to the group of people interested in the park so it is not all about meetings! If you’re into engineering, you might be interested in joining the Winding Engine House Volunteers. If you’re into practical conservation, there’s a group that meets on Mondays (except bank holidays) to help the rangers with their work. A similar practical group meets on the first Sunday of the month. No experience necessary and tools will be provided. To find out more check out out volunteering page under the Events tab. We have previously run a web forum where people can log any wildlife they see or get involved in discussion threads on issues involving the park. This old forum has been moved into this website where all old posts have been archived. 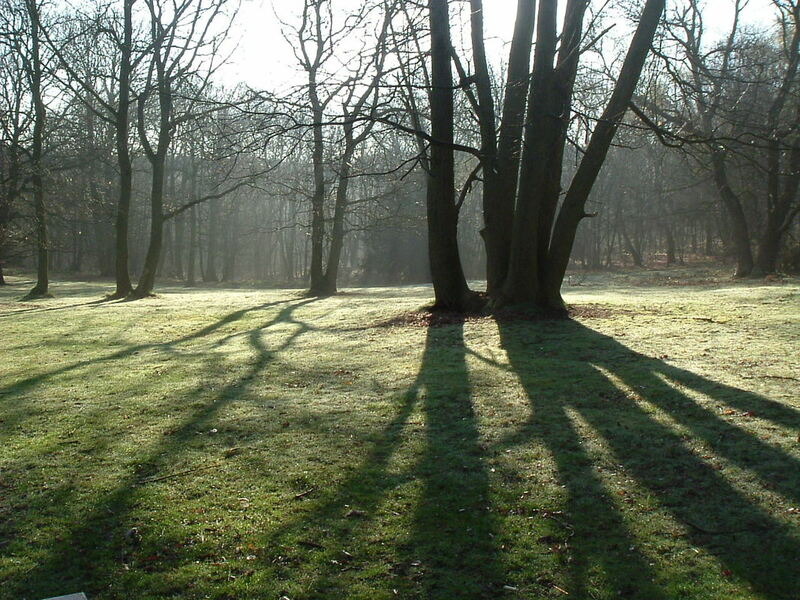 Actually wanted Friends of Buchan Country Park, based in West Sussex? If so, click here:- fobcp.org.uk.